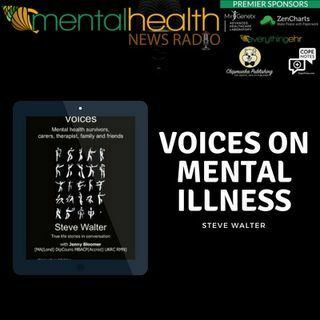 Steve first experienced ‘An Acute Psychotic Episode’ in June 1997 and then again two years later in 1999. His story of having bipolar affective disorder is told in his book Fast Train Approaching. From 2001 he was an Ambassador for the government’s mind out for mental health campaign. He has worked extensively with the Employers’ Forum on Disability delivering a variety of presentations and has also advised companies directly on managing mental health in their workforce. Having written of ... See More his experience of bipolar he decided to write Voices to capture other people’s experience of mental ill health. He weaves these voices in with the story of presenting his own show at the Brighton and Edinburgh Festival Fringes with musician Steve Antoni, Peter Wilson and sons with combined spoken word and song. The show has been warmly received and is described in Voices.